Rusty Jackson spent years crafting the perfect life for himself and his high school sweetheart, Jenny. His own construction company. A house he built with his bare hands. But when trouble shows up at his door in the form of an oddly intriguing police officer bearing tragic news, Rusty’s world is turned upside down in an instant. Stunned and alone, Rusty retreats inside, to the only place he feels safe. When he meets the police officer, Jason, many months later, both men find themselves in a surprisingly different spot. While Rusty doesn’t fully understand his attraction to another man, and Jason fears losing his heart to a possibly confused straight guy, they play an electrifying game of push-and-pull, hoping to find their way to happily-ever-after. Yet what seems to be a heavenly assist turns out to be much more complicated in real life. When the men run into a family foe in Las Vegas, the trip takes a sour turn, and Rusty’s loyalty is put to the test. Can Rusty willingly wrestle down his insecurities for Jason? Or are some habits too powerful to break? 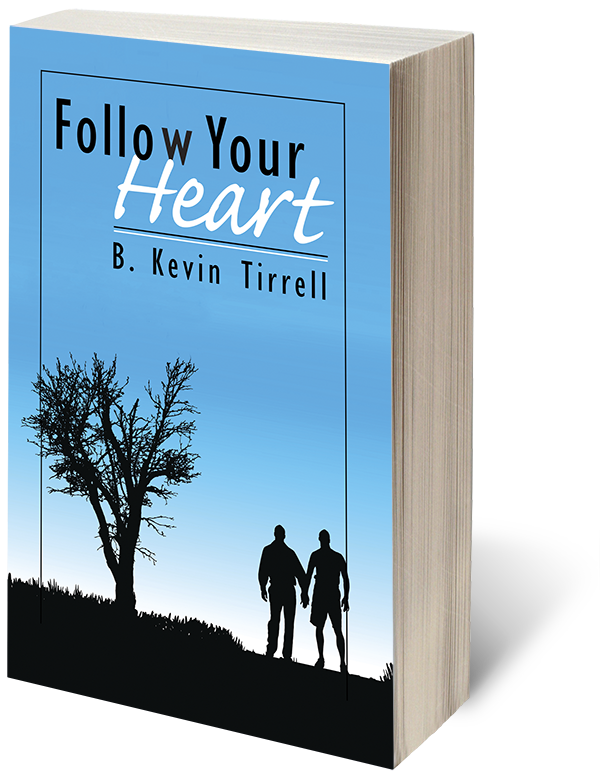 Tender, wise, and provocative, Follow Your Heart shows what happens when friends band together in the face of profound tragedy. It also shows us the excruciating pains we must take to follow our destiny—and leave our worn-out dreams behind.